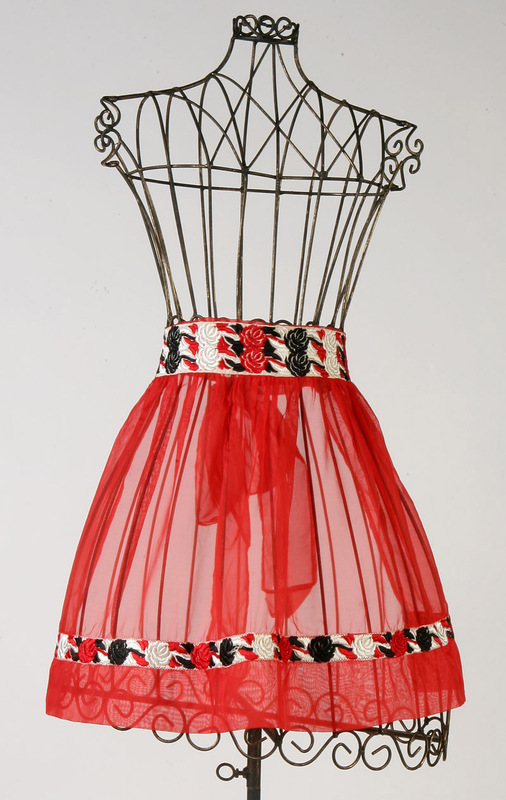 An apron inspired by the 1940s and '50s is a great way to combine unique fabrics in a fun, useful way. 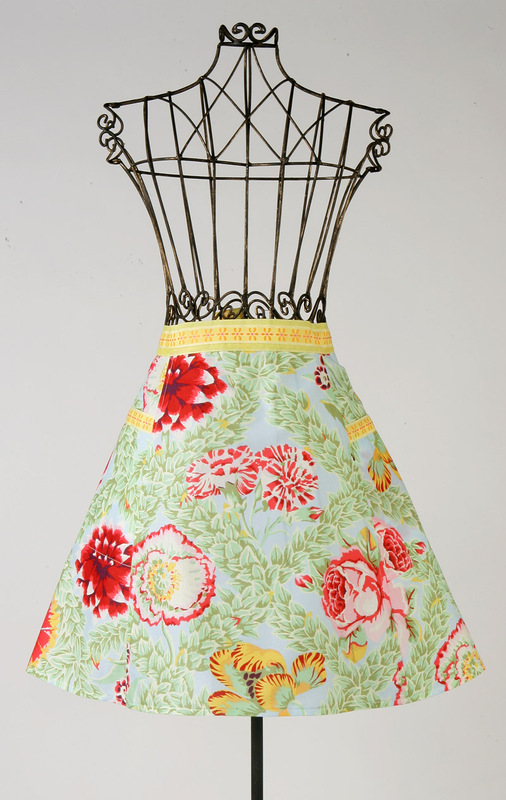 An apron inspired by the 1940s and ’50s is a great way to combine unique fabrics in a fun, useful way. 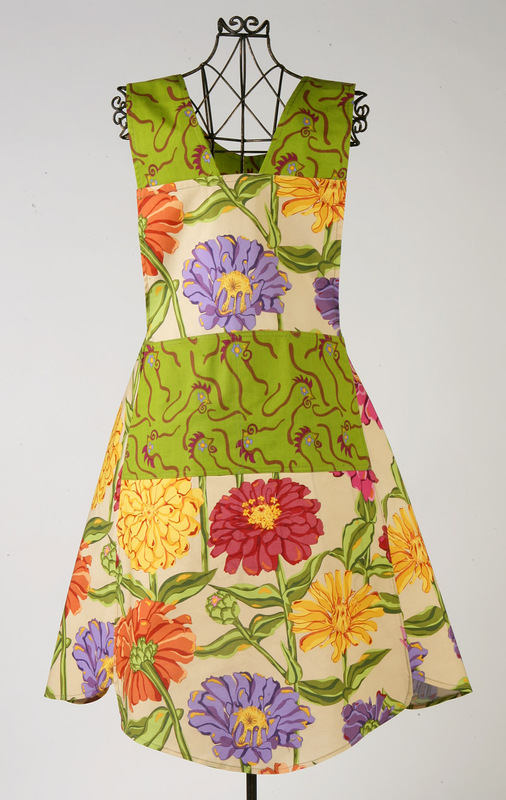 In “An Apron Revival” (issue #132), Mary Ray shows you how to round up novelty prints and big print fabric to make a flirty skirt apron and a bistro apron. As major trends make their way full circle, these classics are the new sassy accessory of today. 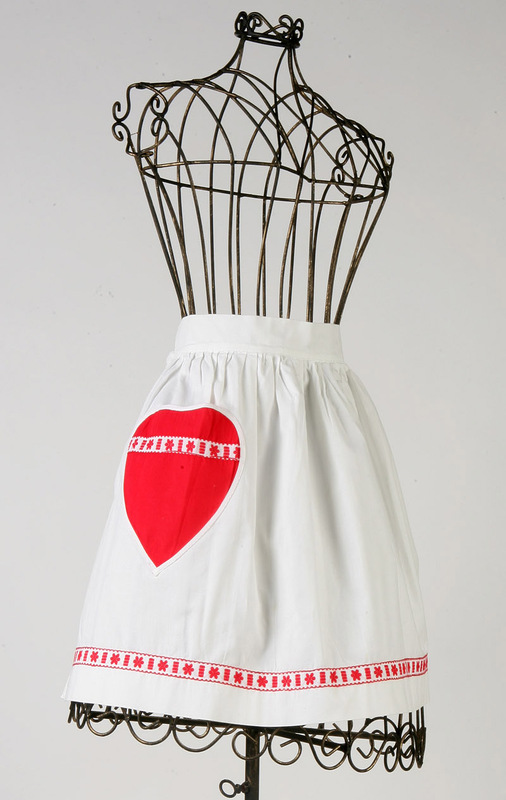 Here’s a photo gallery of vintage and vintage-inspired aprons. 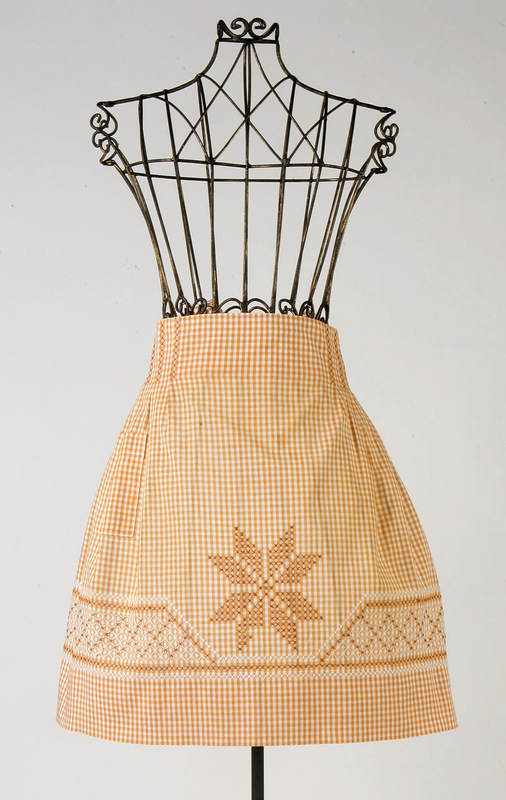 Aprons were not just for personal wear, they were frequently made as gifts for friends and relatives. The unique shaping and adorable look make this apron a great gift. 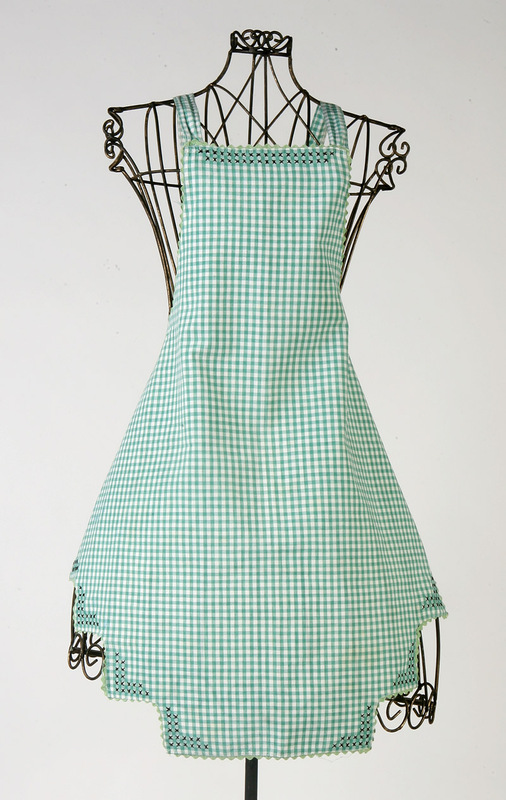 Another gingham apron that features cross-stitch is shaped with a zigzag bottom hem that flatters the outline of the apron. 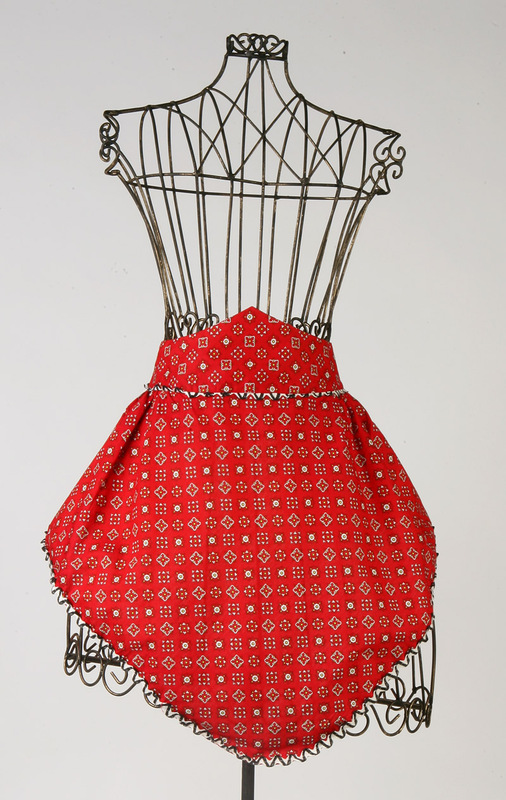 The bib apron was an essential of the 1940s. 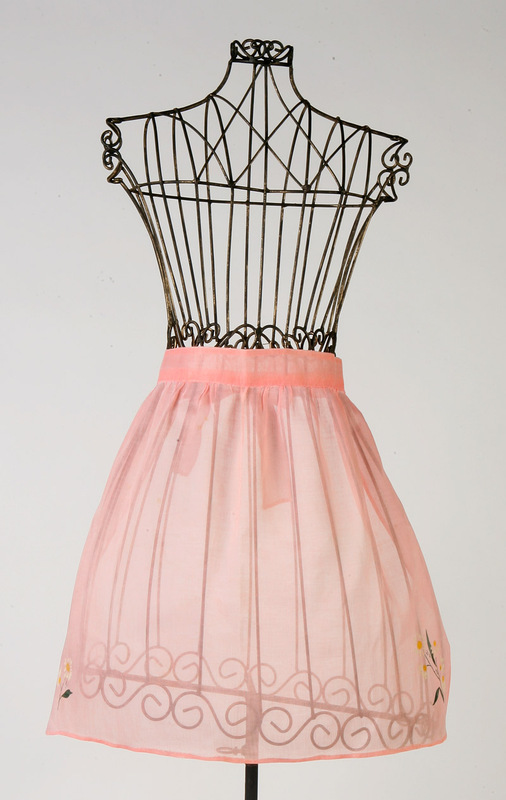 Pink organza makes this 1950s waist apron a companion to the flirty cocktail dress. 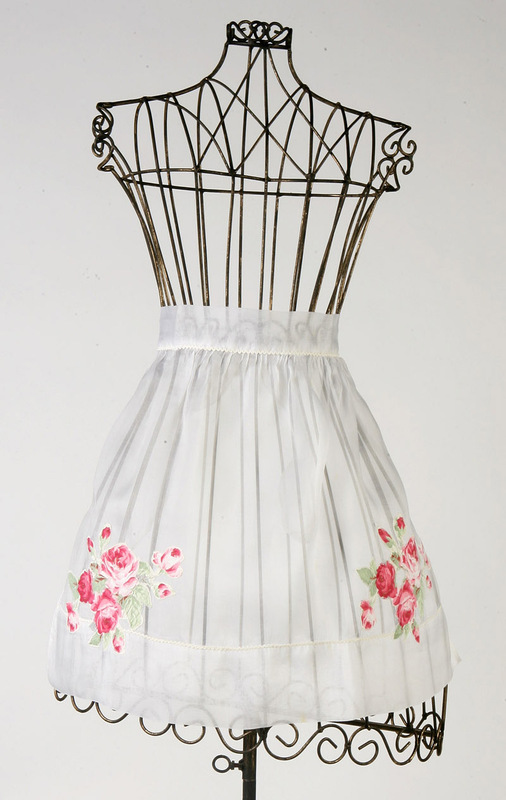 The dainty flower stencil accents the apron’s delicateness. 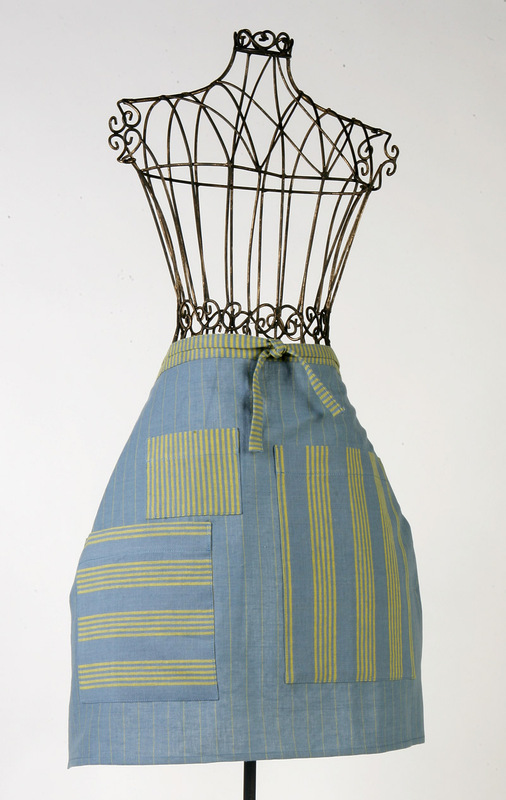 The decorative yellow ribbon used for the ties and waistband is the heart of this apron. It may be a detail, but ribbon is a fast and easy way to trim an apron without a lot of finishing. 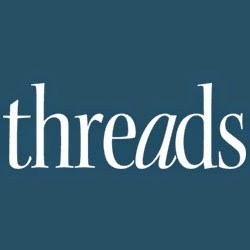 Mary Ray is a contributing editor. Want new Proxies ? Here is your answer Proxy Raider the Nextgen Generation proxy scraper! Try the demo or get the fullversion at http://proxy-raider.com/main.html !